Now that winter is (finally) over, the convertibles are starting to come out. 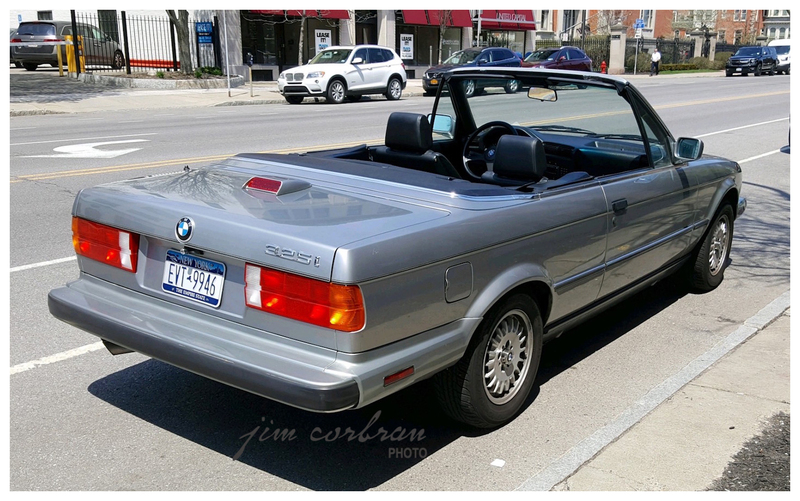 Saw a somewhat rare (at least, these days) 1987 BMW 325i cabrio in downtown Buffalo a few weeks ago. We can see here that even the designers at BMW were flummoxed as to what to do with the federally-mandated center-mount third brake light back in those early years. Many convertibles had them plopped down right on the deck lid like this example. 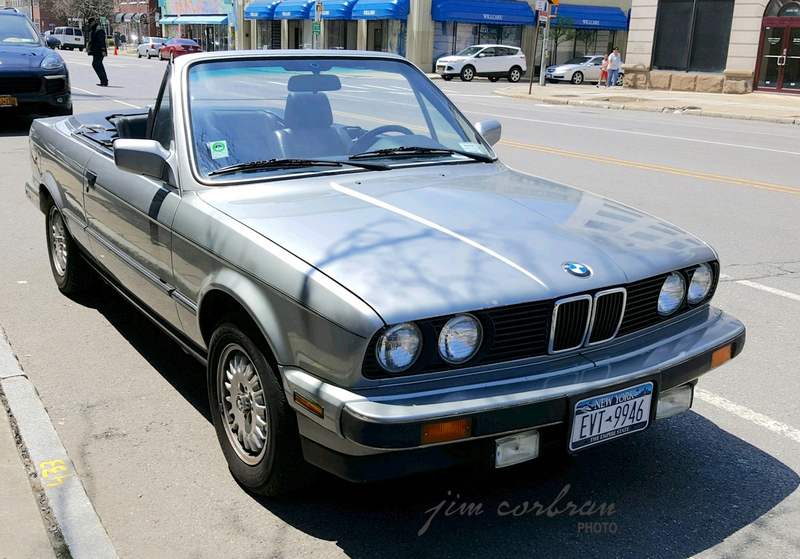 Not very pretty, especially with the top down, even on a beautifully styled car like the 325i. FYI, the “3” indicates a BMW 3-Series car, the “25” indicates a 2.5L engine, and the “i” indicates that it’s fuel-injected (back in the day that was a big deal; now they’re all fuel-injected).